I've written here a couple of times before about Detroit, in relation to my family history and my interest from a data/urban point of view. Last year I did a short piece on the amazing Motor City Mapping project, a comprehensive effort to digitize the city's property information and provide clear data which can help the city move forward. 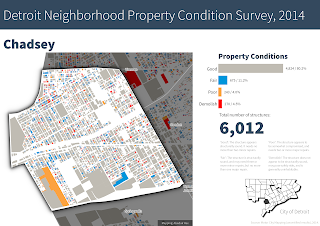 In the first phase of the project 150 Detroiters surveyed the entire city (about 380,000 land parcels) and this information was used in the Blight Elimination Task Force's report. You can read more about all this here. 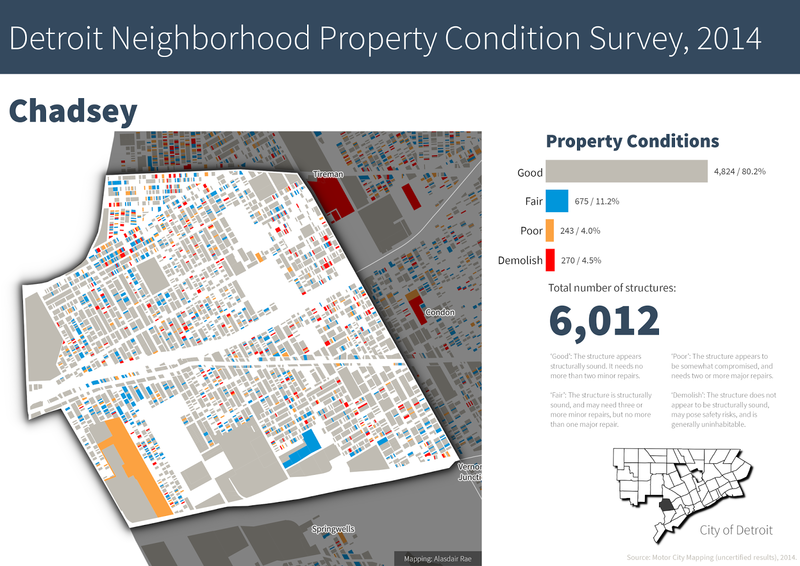 This post is about mapping the results of their work and property conditions in particular. Properties are categorised as being in 'good', 'fair', or 'poor' condition, or else demolition is suggested. I mapped this for all 54 of the city's neighbourhoods, as in the image below. The 'neighbourhoods' I used are the 54 'Master Plan Neighborhoods' provided by Data Driven Detroit, and available here as open data. 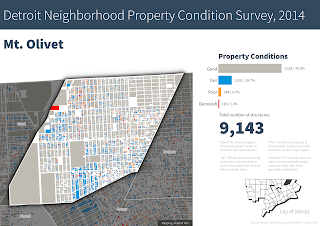 For each area I've shown the proportion of properties in each category, in addition to the total number of structures for each area. The image above shows the Mt. Olivet neighbourhood to the north of the city, whereas the map below shows Chadsey, to the south of the city. One of the points I wanted to make here is that although Detroit has its problems - well documented - it's not necessarily the burning relic that some portray it to be. Anyone looking for an insight into all of this would do well to listen to fifth generation Detroiter George Galster's Driving Detroit lecture (which he also gave here in Sheffield last year). Detroit is mostly 'good' - see, it's not so bad! The other reason that I'm returning to the topic is because I teach using this fantastic dataset. It's fascinating in itself but it's also a great example of how cities can create, and then use, open data to help turn things around - or at least begin to. 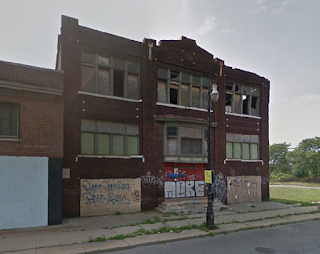 Half the battle is knowing where to start and the Motor City Mapping project provided a solid base for this. 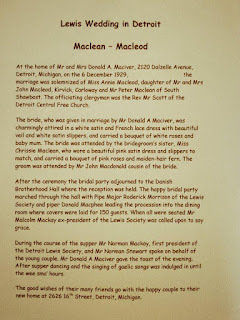 My family history has always been tied to Detroit and although I've never lived there every time I've visited I liked what I saw and the people were really friendly. I'm probably biased but aren't we all? Last winter I found a few pieces of Detroit history in the family archives, which I'll share here as they are a little slice of the city that no longer exists. 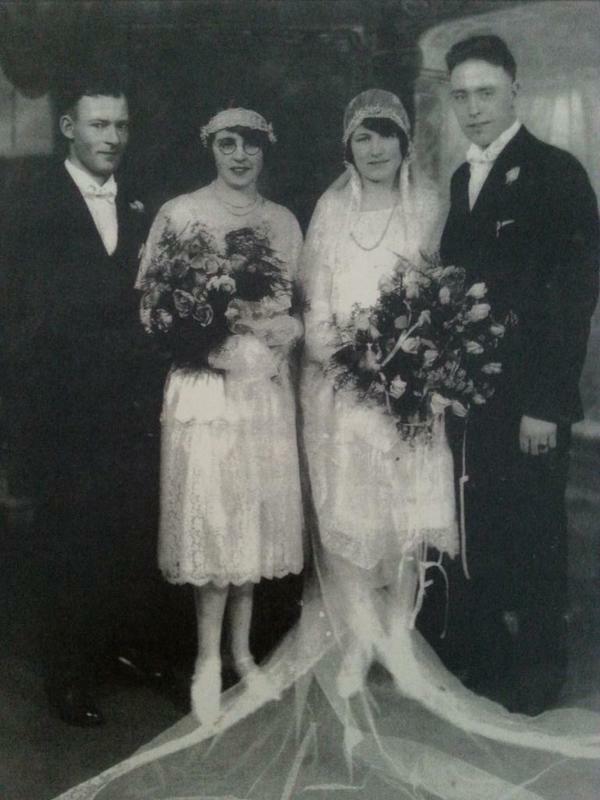 First, one of my grandparents' wedding photos, from late 1929, then a description of the event from a Scottish paper - followed by a photo of the Danish Brotherhood Hall mentioned in the piece. Note in the image above of the Danish Brotherhood Hall a Danish flag has actually been painted over and if you look at it on Google Street View you can see the 'DB' inscription on the building's upper centre section. Detroit Urbex published a really fascinating history of this building, which is well worth a read. 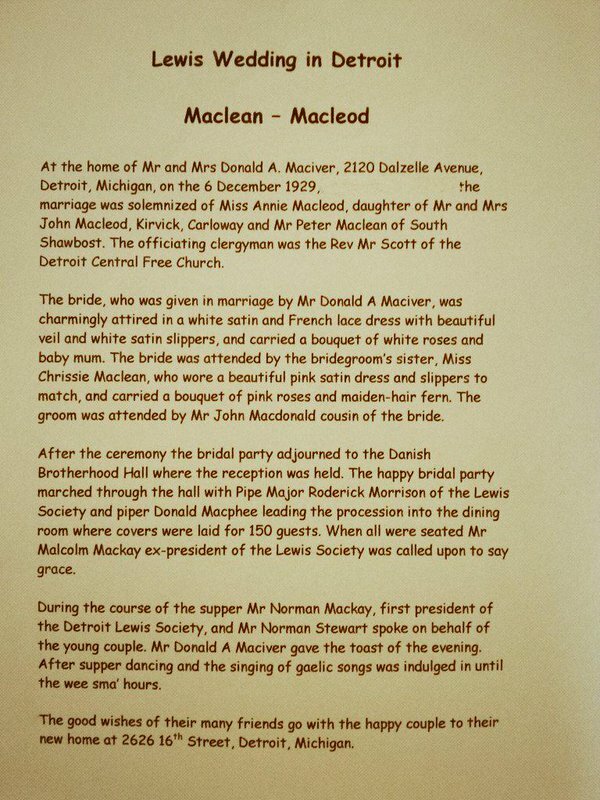 Anyway, it's interesting for me that the story of Detroit, as it were, is also wrapped up a little bit in my family history and can be seen in the images associated with my grandparents' wedding. 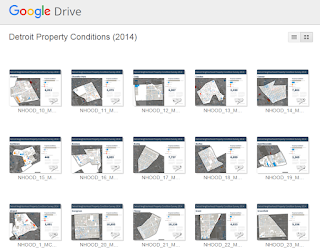 Back to the maps - I've shared them all via Google Drive so that anyone can access them and use then if they so wish. 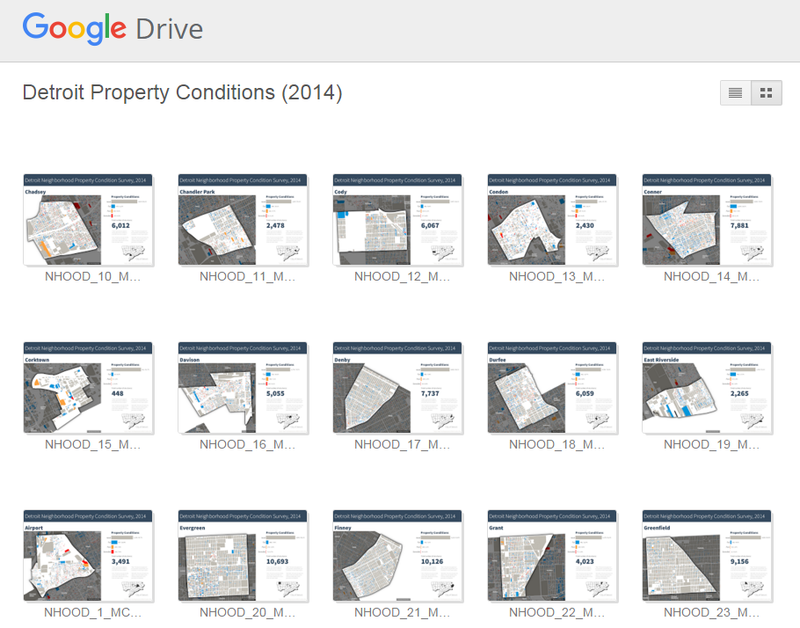 The only other thing to say is that if you download the original dataset you'll see that each land parcel also has a URL with a photo of it - quite an achievement when you realise there are nearly 380,000 of them.